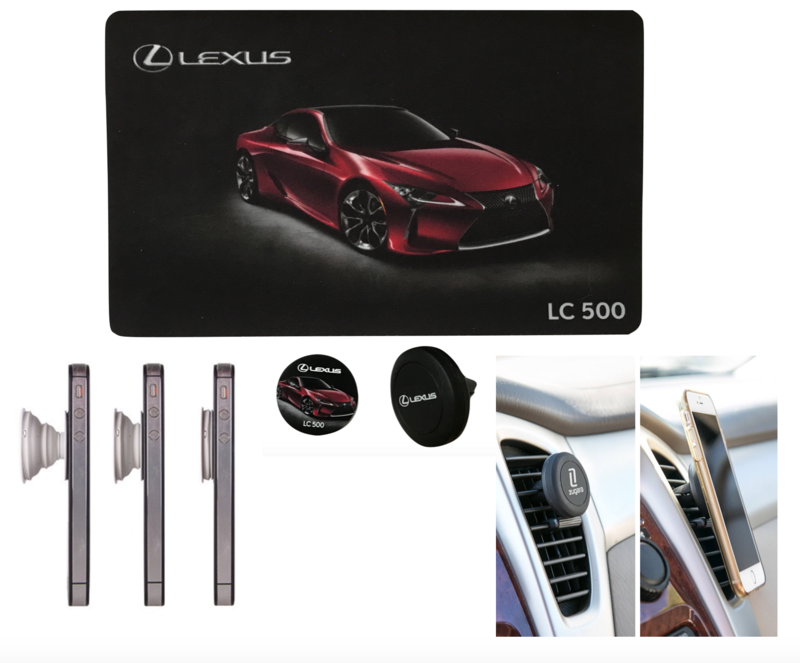 When Lexus rolled out their LC500, they came to us looking for unique and functional items they could use to showcase their new car. We came up with three top trending items to suit their needs. First, we printed a high resolution photo of the LC500 on the Travel Soft Mousepad (a mousepad, screen cleaner, and laptop screen protector all in one) and the trendy PopSocket (an attachable stand and gripping tool for your smart phone). We also imprinted Lexus' single color logo on our Magnetic Phone Mount (a trending item that makes cell phone use while driving completely hands-free). Lexus was very satisfied with the finished products. As always, we love having them as a client!